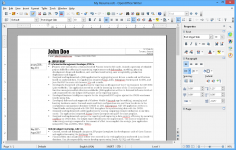 OpenOffice is an office suite that provides the same functions as Microsoft Office and even more. 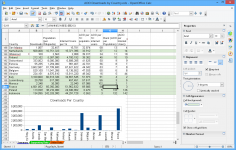 OpenOffice is an office suite of professional quality which has all the tools necessary for most users for word processing, spreadsheet, presentation , database. It offers compatibility with file formats of Microsoft Office and it is primarily a free office suite with its own open file formats and features quite sufficient for most users. The interface is easy and user-friendly thanks to the contextual sidebar, icons, zoom control located in the taskbar and a text annotation system. The "Calc" spreadsheet supports 1024 columns per sheet, for the word processing tool called "Writer", the display multiple pages at the same time is possible. Creating and editing diagrams and illustrations van be done in an easy manner. OpenOffice has a tool to correct the spelling on the document, if not it is not enabled by default because it is necessary to install a dictionary. With OpenOffice Draw the user can create designs in vector format and incorporate them into documents or presentations. 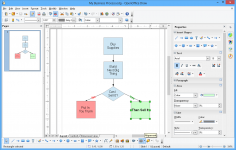 OpenOffice offers a DBMS - database management system called integrated OpenOffice Base.